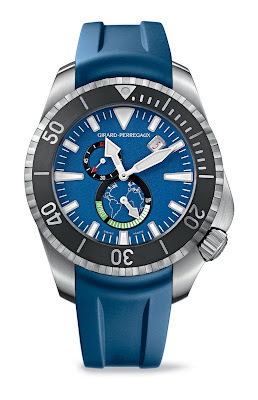 With Susan and David Rockefeller, Jr.
Susan and David Rockefeller, Jr. will celebrate World Oceans Day in New York City on June 5, 2012 from 6-9pm at The Museum of Modern Art, in partnership with the iconic, luxury Swiss watch brand Girard-Perregaux. Avid environmental conservationists, Susan and David created this event to celebrate the world’s oceans and raise public awareness to the plight of ocean health and the need for its protection. The evening includes a special screening, and the New York City premiere, of Susan’s most recent documentary film, Mission of Mermaids. A true love letter to the ocean, this 15-minute call to action views the ocean through the eyes of the mythical mermaid, and explores ocean acidification, overfishing and pollution. The film delivers a message of hope that provokes viewers to rethink how they relate to their global waters. Presented by Girard-Perregaux, the sentiment of the night is to “Protect what is Precious” which relates both to the state of the world’s oceans and the rare art of fine watchmaking. 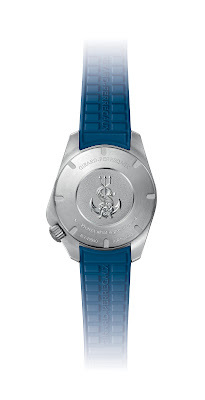 In honor of the evening and of Susan and David’s efforts, Girard-Perregaux will launch a limited edition timepiece. The Seahawk 1000 “Big Blue” features a steel case and blue rubber strap with blue highlights on the dial and showing the world map, the focus of this important cause. A genuine diving instrument with assertive personality and ergonomic design, the Sea Hawk pro 1000m is distinguished by its performances. Ready for the most extreme adventures, it is equipped with a Girard-Perregaux self-winding movement with power reserve indication. Its case entirely developed and manufactured in-house has a unidirectional rotating bezel for calculating dive times and a helium valve used for decompressing the watch after deep dives. It is also equipped with a screw-down crown and case-back. ﻿The evening at MoMA also coincides with the launch of Susan’s jewelry collection, inspired by Susan’s love of the ocean, which is now available at www.susanrockefeller.com. Susan Rockefeller jewelry is designed to start the conversation and engage people in creative dialogue about the oceans. A portion of the proceeds will benefit Oceana. As a direct result of his work on the Pew Oceans Commission coupled with his more than 40 years of experienced sailing, David founded Sailors for the Sea, a nonprofit organization that galvanizes the sailing and boating community around ocean health issues. Sailors for the Sea’s core programs, which include Clean Regattas, Ocean Watch Essays, Certified Sea Friendly, and Rainy Day Kits, are designed to connect knowledge with action. David is also the Chairman of The Rockefeller Foundation. In addition to her documentary film efforts and jewelry design, Susan sits on the board for Oceana and the global leadership council for the NRDC, as well as the Program Committee for Stone Barns Center for Food and Agriculture. She and David have co-chaired the Christie’s Green Auction for three years, while Girard-Perregaux has created unique timepieces for auction. The Christie’s Green Auction has raised nearly $6 million in support of environmental charities. Founded in 2004, Sailors for the Sea is a nonprofit organization that educates and empowers the boating community to protect and restore our oceans and local waters. For more information or to participate in any of the Sailors for the Sea programs, or to support the organization, visit www.sailorsforthesea.org.